“Comax UK Ltd have extensively used Dovetail Recruitment for the past 7 years. Dovetail spend time with us to ascertain exactly what our requirements are for each role. Liz and her team always act very promptly, sending us shortlisted CVs once they’ve met prospective candidates. “We have been working with Dovetail Recruitment since May 2014 and always find Liz and her team to be friendly, helpful and professional. Unlike other recruitment agencies, they have taken the time to understand our business and specific needs. “I have been thoroughly impressed with the overall service provided by Dovetail. Tiffany took the time to really understand our business and culture and has only ever provided candidates that meet our needs exactly. Sometimes too well and we have been spoilt for choice, having to recruit two people as they were both too good to let go. I can highly recommend Dovetail, as having used large National agencies in the past and believing their service and networks were superior to a local agency, I have been totally converted and know this is not the case. “Dovetail Recruitment is brilliantly professional and efficient. Their personal and friendly service has been exemplary in helping me seek future employment and presented me with some excellent opportunities. “I have received an excellent service from start to finish from both Francesca and Liz of Dovetail Recruitment. The whole process was seamless… they kept me well informed and helped me thorough each stage of my interview. Within one week I had two interviews, was offered the job and handed in my notice! “If I could give more than 5 stars I would! The whole team at Dovetail have been so supportive and I was lucky enough to deal directly with Francesca who talked me through every step of the way, giving me valuable advice, confidence in myself and helped me get my dream job! “My experience working with the agency was exceptional. They provided consistent support on applications and go above and beyond to ensure you are prepared for interviews. “Laura and her colleagues were exceptionally friendly and very professional to work with. They kept me informed at all times with how the proceedings were going and I never felt I couldn’t call up and ask for their opinions. Laura and her team made me feel welcome and approached me with many different job opportunities which would best suit my abilities and interests. “Dovetail Recruitment are a highly professional recruitment agency with an eye for detail & were a pleasure to deal with especially in comparison to the vast amount of recruitment agencies in operation that inevitably let you down. “Thank you for finding me a fantastic job with such lovely people. “Tiffany has been absolutely fantastic. I wasn’t happy in my role and I needed a change. Recruiters always call you and try to sell you a role on more money with the same skill set- because that will benefit them commission wise. I didn’t feel I was being listened to, as to what I wanted as my situation was very unique with relocating and changing completely. Tiffany listened, understood and put two brilliant roles in front of me, both which I had an interview for. She kept in touch with me and genuinely seemed interested in who I am as an individual and not a number she can place to make her monthly target. I’ve now relocated and am a month into a role I adore. For the first time in a long time, my confidence has increased and I look forward to coming to work. Tiffany also checks in regularly to make sure I am getting on well which is really kind. “Tiffany has been great to work with, always professional and provides high-quality candidates. When I have contacted Tiffany she discusses the role thoroughly to find out our particular needs, in addition to this she has and in-depth knowledge of the company allowing her to determine whether a candidate will fit well within the business. 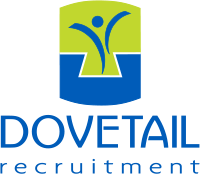 “I have used Dovetail Recruitment for a good while now and I would not hesitate to recommend them to any candidate or business. They go above and beyond to find you the perfect candidate and I am always very impressed with their level of service and professionalism. “Dovetail has been amazing helping me find work in the Bournemouth area. They are driven to find the best role for candidates, with their great relationships with local businesses and knowledge of the area I would highly recommend this agency. The people are friendly, organised and have good communication, always following up on progress and results. “I would highly recommend Dovetail to my friends and family. Francesca is a credit to the Company for many reasons. Firstly, she took time to find out about my requirements and only suggested positions available on this basis. To have a recruitment consultant that actually listens is very rare in my experience! I was very impressed with their professional, friendly efficient manner. “I couldn’t recommend Dovetail Recruitment enough! I’ve had experience with lots of agencies, but Dovetail are by far the best! They go above and beyond your expectations to help you find the right job.